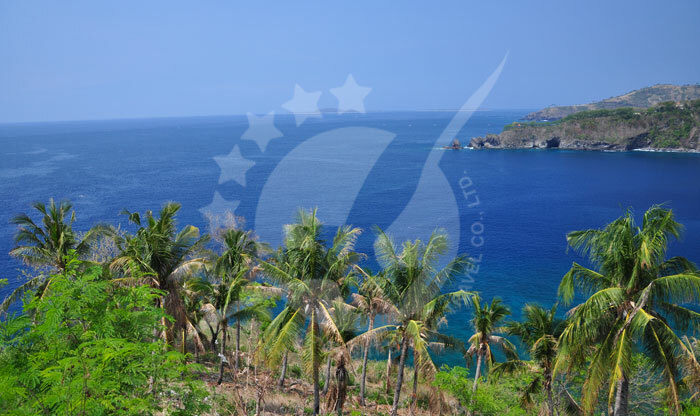 Lombok, an island surrounded by fascinating beaches, glorious diving and snorkelling opportunities, surfing and trekking, challenging mountain climbs and villages rich with handicrafts, historical temples and cultural island life. 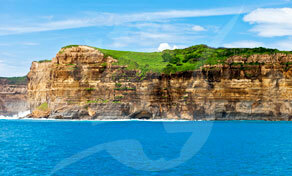 Lombok's got all this and more on an island that's as beautiful as Bali without the madness of a myriad of tourists. 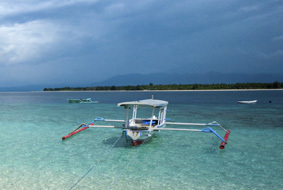 Yes, compelling yet not congested, paradise as you hoped it might be, that's Lombok. So Lombok carries that sense of adventure that's not handed to you on a package-designed plate. You can still get the old map out, speak to a couple of knowing locals, then make up your own experiences and memories. Granted, the tourists are coming these days in larger quantities, but there's a balance of ruggedness and convenience that is beginning to put Lombok firmly on the map due to the glowing posted journal entries and blogs of hundreds of wide-eyed returning vacationers. 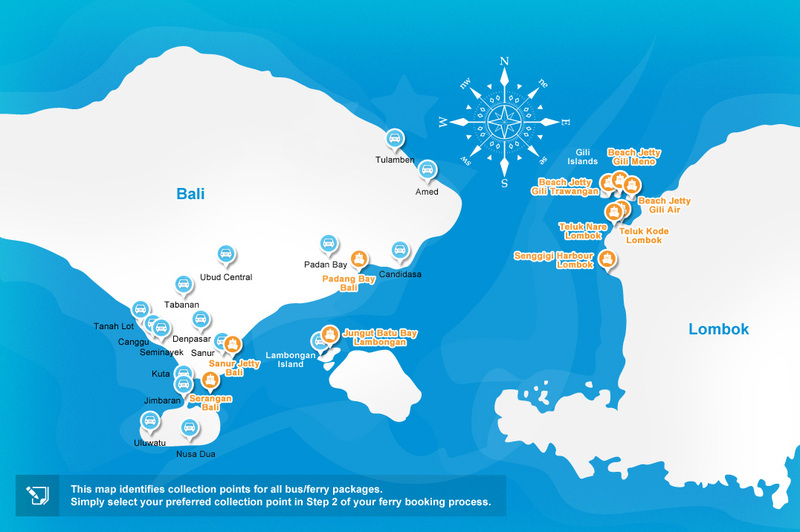 Furthermore, the natural harbours of Telek Nara and Telek Kodek in the northwest of Lombok represent a gateway to the stunning Gili Islands, which are described in more depth here on baliferry.com. Lombok is well known locally for its authentic earthenware pottery that's made from local clay and designed in a way that's true to it's more primative roots. Hand-woven sarongs and fabrics (called "ikat") are also in abundance. 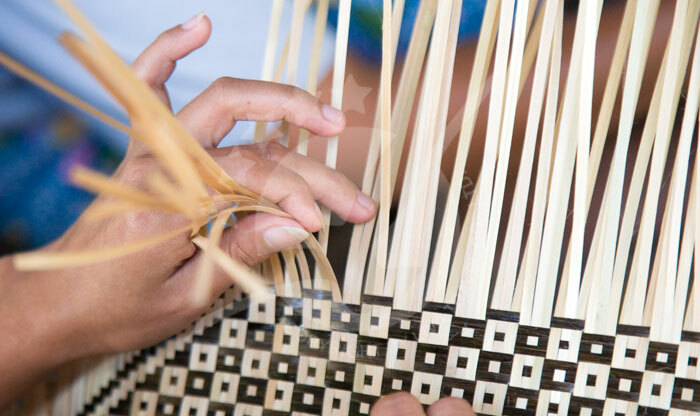 Ikat weaving is a way of life for the small village of Pringgasela in central Lombok, and we think that this great little place is worth a visit. Here and in Sukarara, which is nearby Kuta, weavers will work on their antiquated 'back strap looms' whilst seated outside their shops. 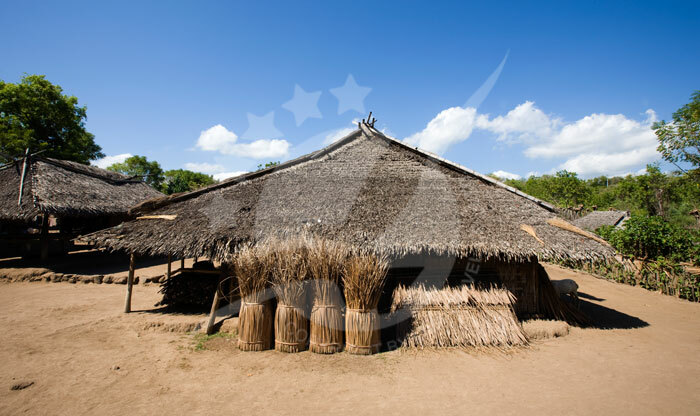 It's a glimpse into former ways of life that much of the world has left behind, but you are sure to be touched by the rich quality and the heart of the laborer. 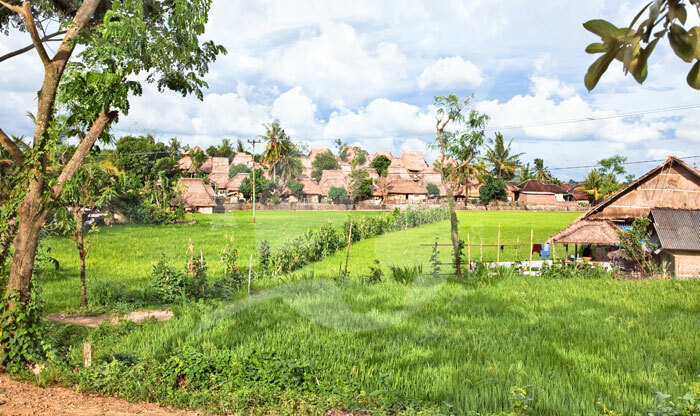 Then make a beeline for some fascinating authentic temples, most notably Purar Lingsar, where both Hindus and Moslems come together to celebrate, and Purar Suranadi, which is a complex of three temples considered to be the oldest in Lombok. 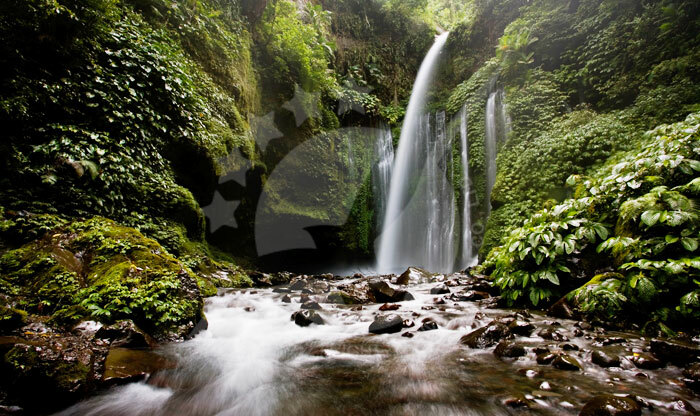 Much of Lombok is covered by a blanket of natural rain forest and jungle, making the island absolutely perfect for ecotourism and adventure tours. 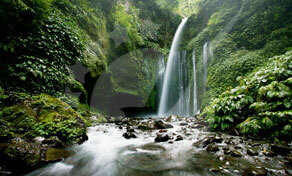 You have got to witness some of the spectacular waterfalls that can be found whilst trekking through the lush landscape. Sendang Gile on the side of Mount Rinjani in the north is both beautiful and easily accessible, as is the amazing Benang Stokel and Benang Kelambu in central Lombok, located within a short trek from each other, making for a great day trip. 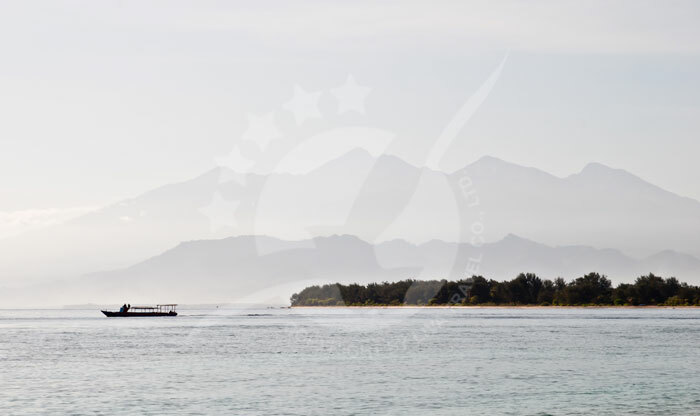 Mount Rinjani itself is Lombok's famous 3,726m volcano, which is Indonesia's second highest. Thousands of climbers each year make it to the huge crater near the top that contains a beautiful lake called Danau Segara Anak (Child of the Sea Lake). 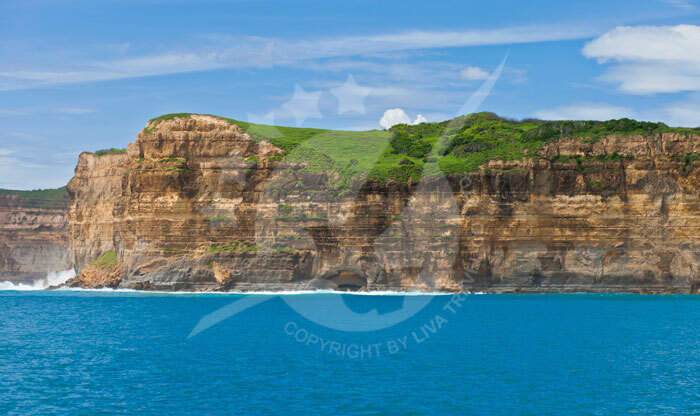 There's some great caves and hot springs there too! 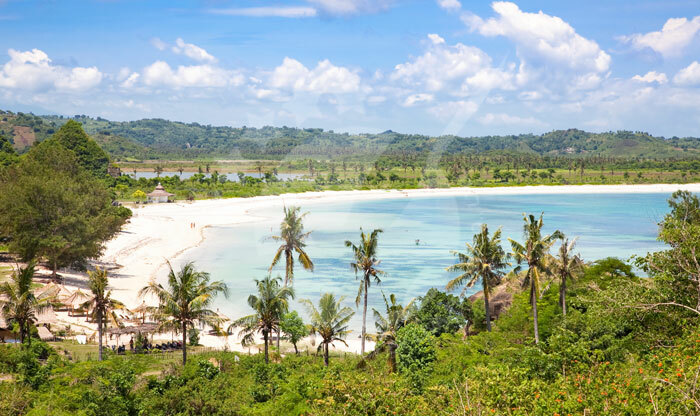 Fantastic beaches line the perimeter of Lombok, each covered by clean white sands and laced with spreading coconut palms. 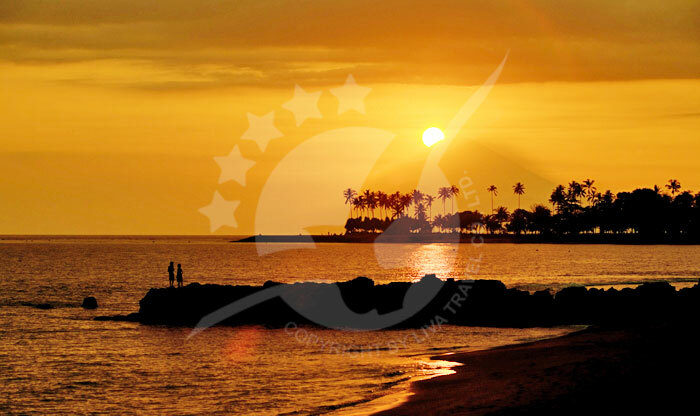 Just 30 minutes drive from the ferry pier at Telek Nara can be found the ever popular Senggigi Beach. Senggigi itself is a great base for exploring the rest of the island, yet the beach forms a large bay that's both beautiful and alive with activity. 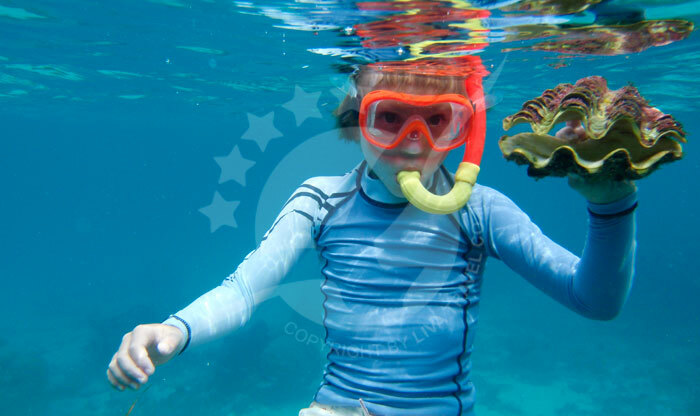 Senggigi Reef has attractive coral for snorkelling and some decent surf breaks when conditions are right. 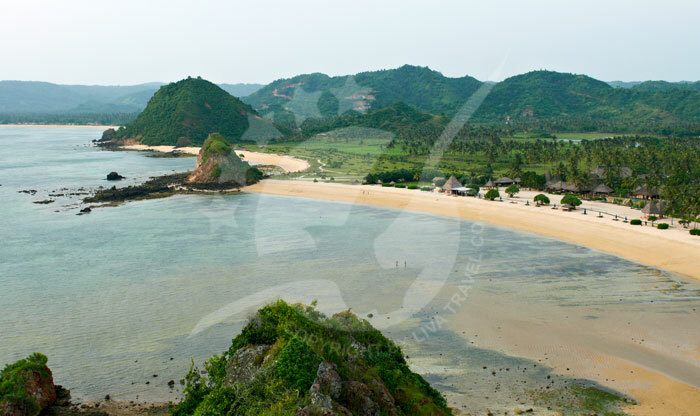 The beaches of southern Lombok are magnificent, containing artist-inspiring panoramic views on every beach and bay. 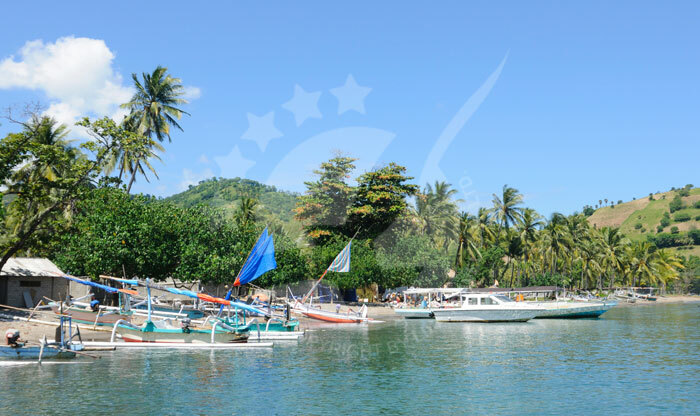 Kuta in Lombok is the main tourist town in the south, forming a wonderful beach that makes for the starting point to so many awesome hidden bays. 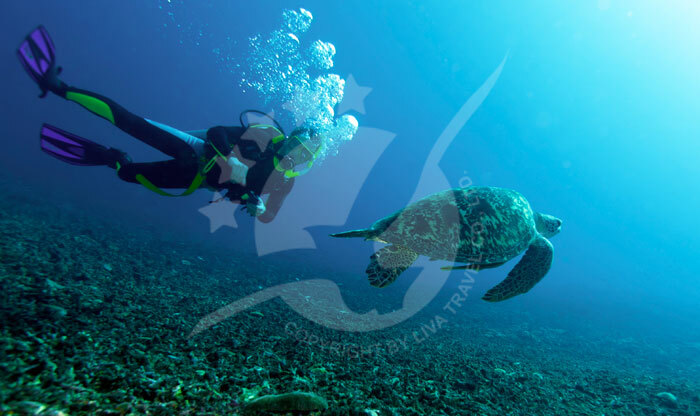 These areas contain some of the best of Lombok's surf breaks as well as crystalline waters and soft white sands. 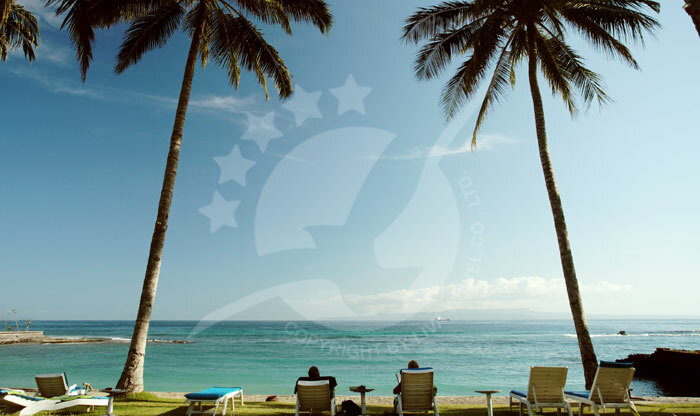 Lombok's three main cities are Ampenan, Mataram and Cakranegara, all of which have expanded over the years to provide both locals and tourists alike with some quality urban shopping and city living. The cities make for an interesting day trip due to the variety of shops and local crafts on sale that can be way cheaper than by the beaches. 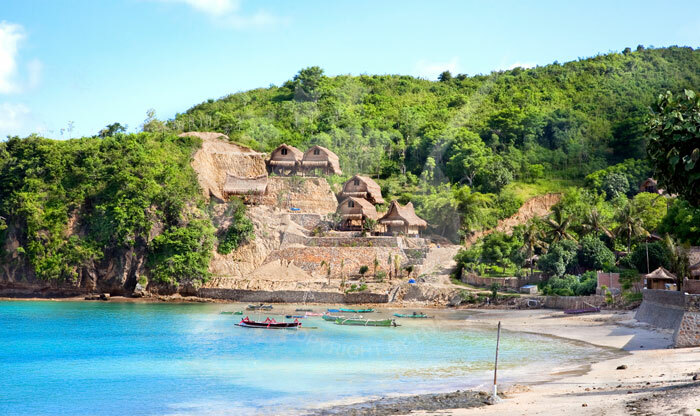 Genuine pearls that have been cultured on Lombok's pearl farms can be found for great deals, and the local choices of restaurant food make for a great day, lapping up Lombok city life. Ampenan, being Lombok's original old port during Dutch colonial times, still contains traces of the architecture of the period. Mataram, just 3km east of Ampenan, hosts the "Nusa Tenggara Barat Museum", which hosts historical and cultural artefacts from Lombok and nearby Sumbawa. 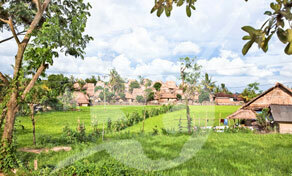 And Cakranegara is Lombok's main shopping area, selling both modern and traditional goods.